Eric J. Haag was raised in Windsor, Wisconsin, and attended DeForest High School. Eric left the Madison area to attend college at Duke University in Durham, North Carolina. While at Duke, Eric was a four year varsity letterman while competing in cross-country and track. He was recognized as a member of the ACC all-academic team his sophomore year. Eric funded part of his college education while working for the athletic department at home basketball games and coaching swim team during the summers. After college, Eric returned to Madison and attended Law School at the University of Wisconsin. During law school, Eric worked for two years as a law clerk for a Madison litigation firm. He graduated from law school in 1996. Eric's entire career has been devoted to representing people who have been injured or wronged. Over the years, he has represented hundreds of people injured in motor vehicle accidents, motorcycle accidents, bicycle accidents, ATV accidents, truck accidents, wrongful death cases, and also those who have been injured by dangerous and defective products. Similarly, he has represented people who have been treated unfairly by their own insurance company because a claim was wrongly denied. His experience and training as a firefighter provides him with unique experience to help those who are battling with an insurance company over a fire loss. Eric has also represented people (or their families) who have been injured or killed by medical malpractice. Eric has been named a Wisconsin Rising Star and Super Lawyer for many years. He was named a National Trial Lawyers "Top 40 Under 40" award winner and has been named to their "Top 100" list for several years. In 2018, he achieved the largest civil rights settlement ever paid by the State of Wisconsin, 18.9 million dollars, for a young girl who suffered very severe, catastrophic injuries. As result of that litigation, Eric was honored with the 2018 Wisconsin Association for Justice President's Award, a prestigious honor recognizing his work on the case which led to the State's decision to close the juvenile correctional center where the injuries occurred. Eric is a member of the Wisconsin Association for Justice which is a large organization of trial lawyers from all over the State. He served on the Board of Directors for WAJ for several years. Eric has been a speaker/presenter at multiple continuing legal education seminars throughout Wisconsin. He is also a member of the American Association for Justice, the State Bar of Wisconsin, and the Dane County Bar Association. In addition to the focus on his personal injury practice and catastrophic injury cases, Eric has been involved in several class action lawsuits and multi-district litigation matters. He was a key member of the team of lawyers who obtained one of the ten largest wage and hour class action settlements in the country in 2009, on behalf of several thousand employees in numerous states. In 2014, Eric settled a class action lawsuit against two large national insurance companies relating to the payment of insufficient interest on life insurance policies issued in the State of Illinois. Eric served as lead counsel and was approved as Class Counsel by the Federal District Judge. He has also been asked to do work for the steering committees in the Volkswagen Diesel Emissions Fraud MDL and the Target Data Breach MDL. Eric has significant trial experience in the courtroom. He has tried cases in multiple different State and Federal Courts throughout Wisconsin, as well as one jury trial in Iowa. Eric has achieved several noteworthy verdicts on difficult cases. A sample of some of the cases he has successfully taken through trial include cases involving: a serious motorcycle accident with disputed liability; a multi-vehicle multi-fatality automobile case; a patron injured in a big box store by a forklift; a husband and father who died because of a failure to diagnose melanoma; a woman seriously injured when her car was t-boned by a large truck. He has also obtained settlements to provide fair compensation to those harmed in a variety of personal injury cases, insurance bad faith cases, product liability cases, sexual harassment cases, employment discrimination and retaliation cases, and medical malpractice cases. He has represented clients in various courts of appeals in Wisconsin and the Supreme Court of Wisconsin. He has argued before the United States Court of Appeals for the Seventh Circuit on at least three occasions. 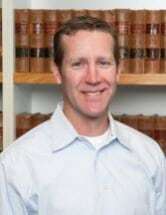 He is admitted to practice in all courts of the State of Wisconsin, in addition to the United States District Courts for the Eastern and Western Districts of Wisconsin, as well as federal courts outside of Wisconsin. Eric recognizes that most people do not want to sue. Most people do not want to be part of a lawsuit and never imagined that they would be involved in one. Being seriously injured or having a loved one seriously injured is a terribly emotional and traumatic event. The fight for fair and just compensation is, unfortunately, usually not easy. The adversary is usually large, well-funded, and impersonal. Eric has been devoted to that fight on behalf of injured people, consumers, and workers, for more than 20 years. He remains devoted to helping those in need find fair and just compensation for harms that were caused by someone else's negligent or intentional conduct. Outside of work, Eric is an avid outdoorsman, with a particular interest in bowhunting and fly fishing. He has taken several record class bucks with his bow. He also enjoys golfing, running, and working out. He is married and has one son and two daughters. Eric has volunteered considerable time coaching youth baseball and basketball, and has served as President of the Cardinal Dugout Club. In 2012, he joined the Middleton Fire Department as a volunteer firefighter. In 2013 he completed his NFPA Firefighter I and Firefighter II certifications. National Trial Lawyers "Top 40 Under 40"
National Trial Lawyers "Top 100"